Bowling is one of the most interesting games, where the player throws the bowling balls in the direction of the target. The bowling flyer allows you to invite the people with the same interest to play the game. 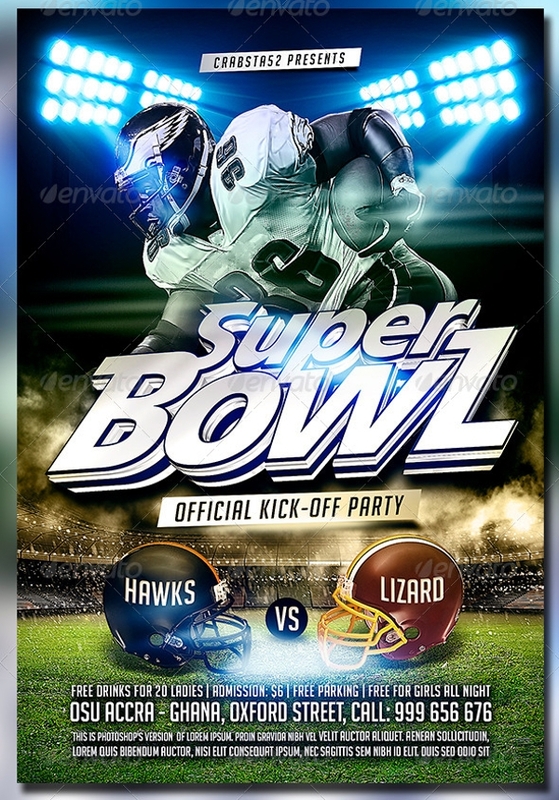 These stunning flyers consist of date, place and other details of the game, making it informative for the audience who would like to participate in the game. 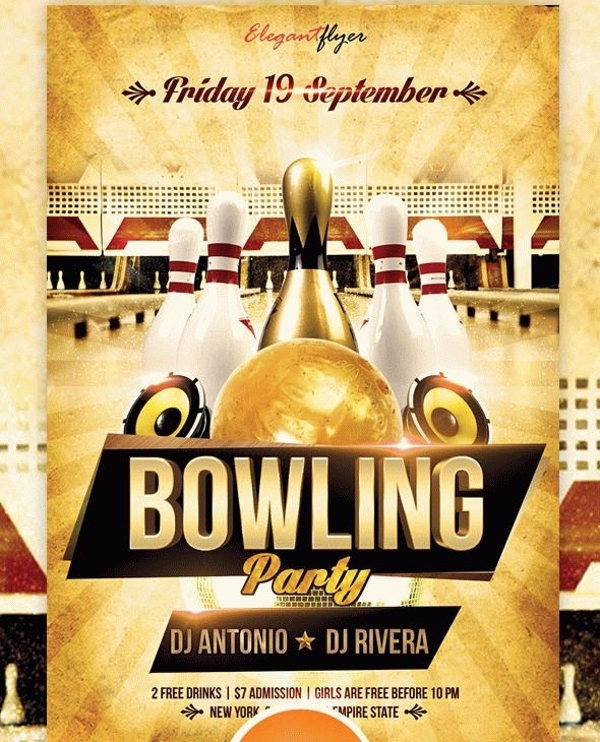 Check out the newest collection of the creative bowling flyers and make your selection as per your need! You can also see Karaoke Flyers. 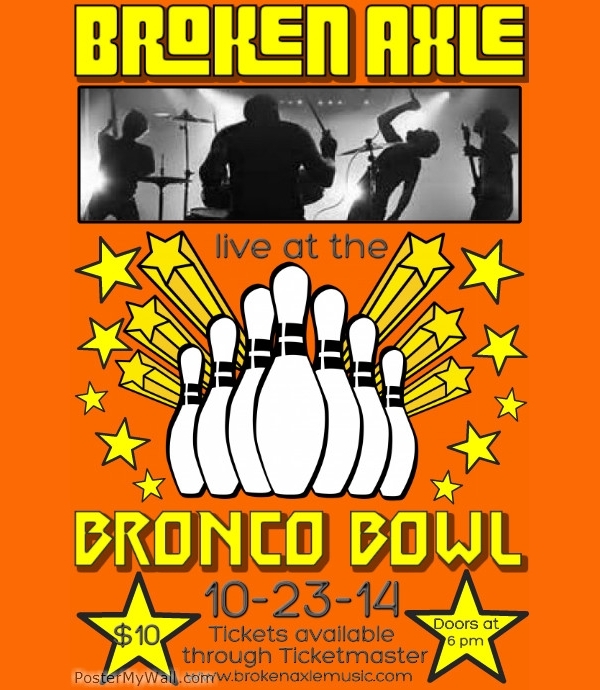 Here’s a mind-blowing bowling night flyer that features colorful bowling balls and a bowling pin. 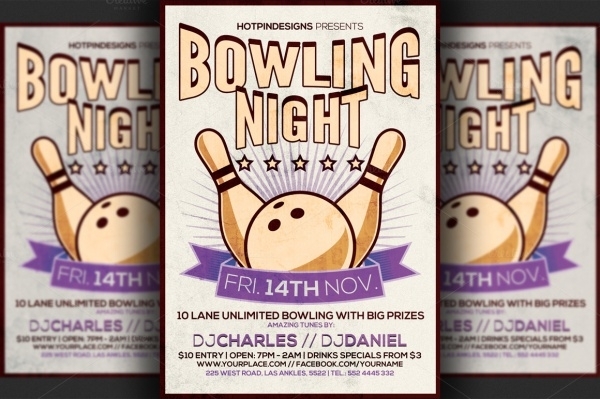 It consists of big and bold typography, which clearly showcase the details related to the bowling event night. It is a customizable flyer, so you can modify it according to your client’s need. You can also see Hip Hop Flyers. 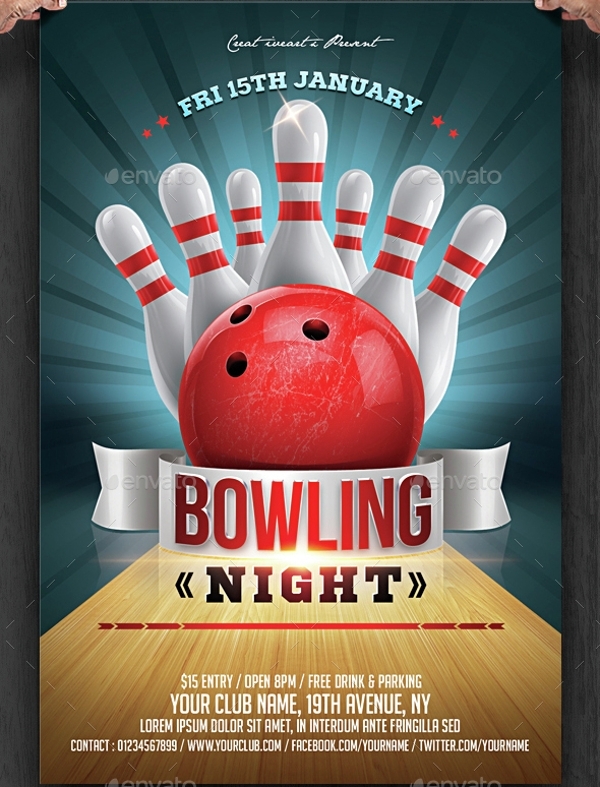 This is a smart and stylish bowling flyer template, which is a perfect invitation flyer for showcasing the details of the bowling club. It features information such as price, timing, days and other details required by the audience. 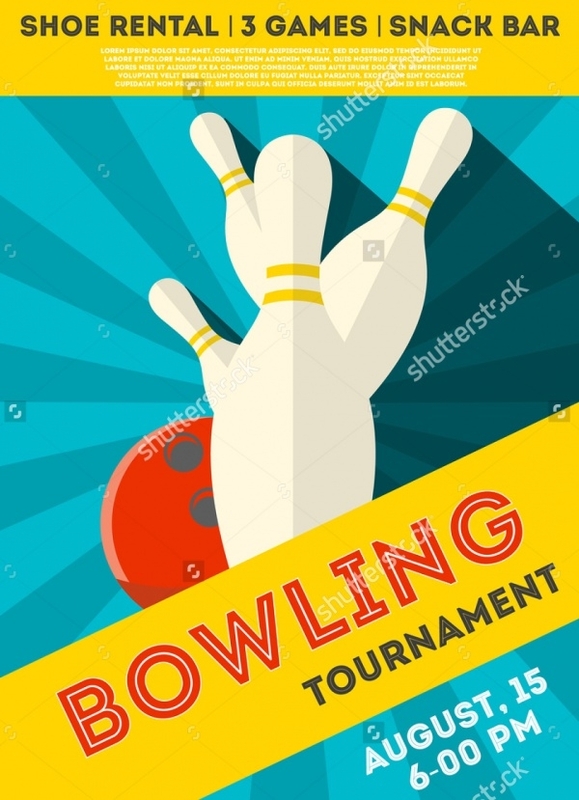 The structure of two bowling pins imprinted above the flyer makes it just the right thing for the bowling events. You can also see Education Flyers. 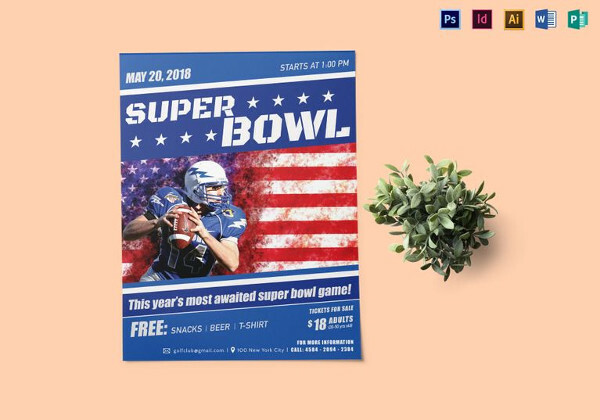 This is a highly customizable and editable blowing flyer featuring bright orange and yellow color. 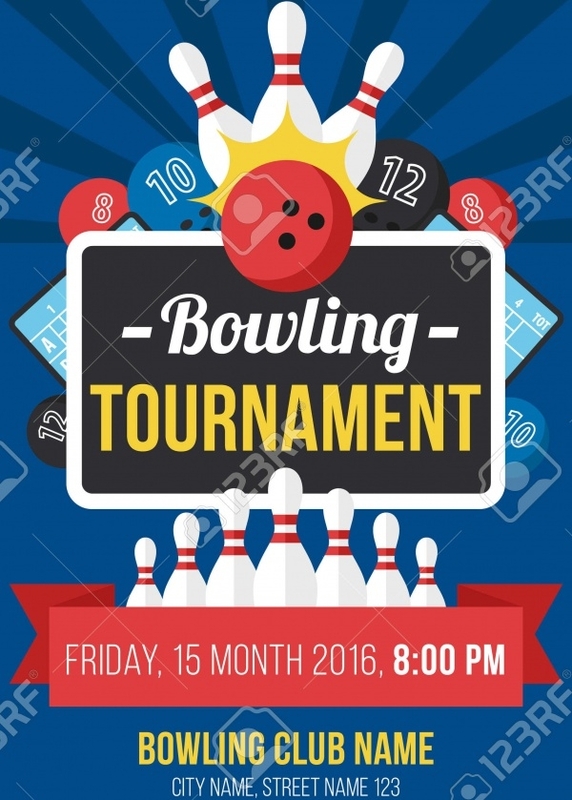 It showcases the structure of bowling pin nicely arranged in the middle of the flyer. 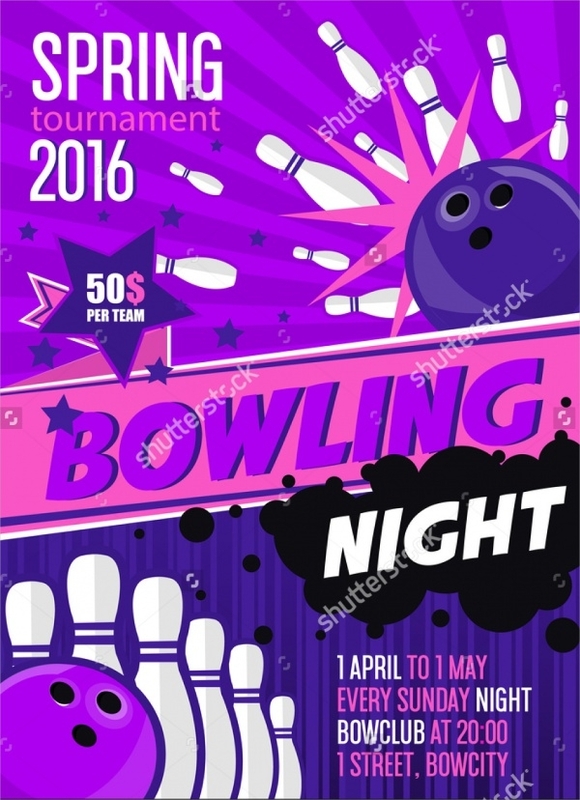 This intriguing flyer is suitable for advertising about the available tickets for the bowling game or any other related events. 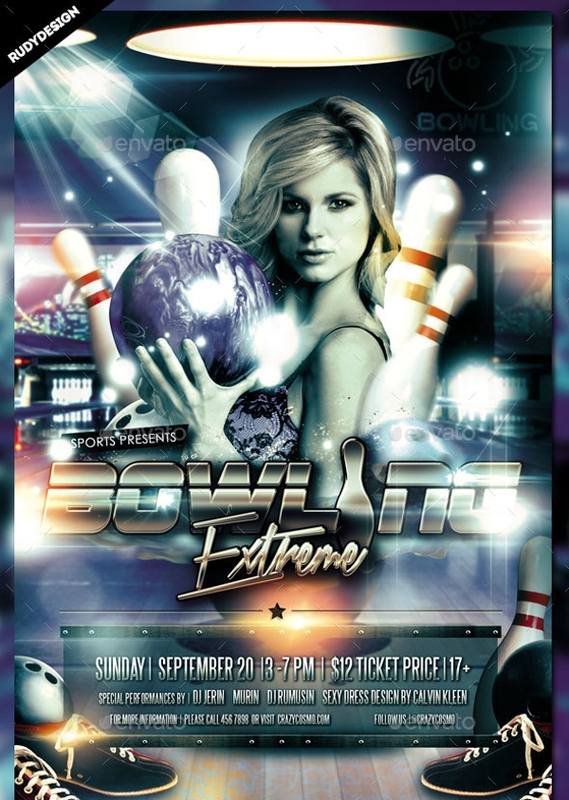 Here’s a modern PSD flyer for the bowling game that is all set to give your next blowing event a perfect promotion. 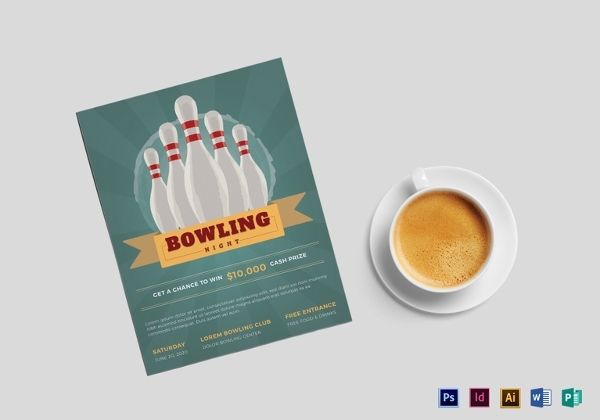 This well-designed bowling flyer comes with simple features that make it easy to work with and has CMYK/ 300 dpi. Click on the link stated below to download it quickly! 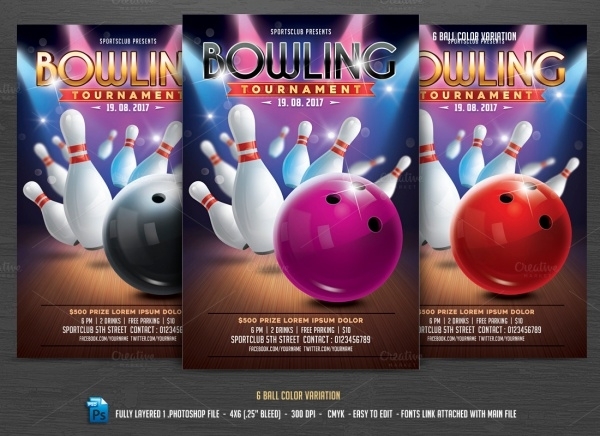 Here’s an exclusive Photoshop bowling PSD flyer that comes in overall 6 color variations. 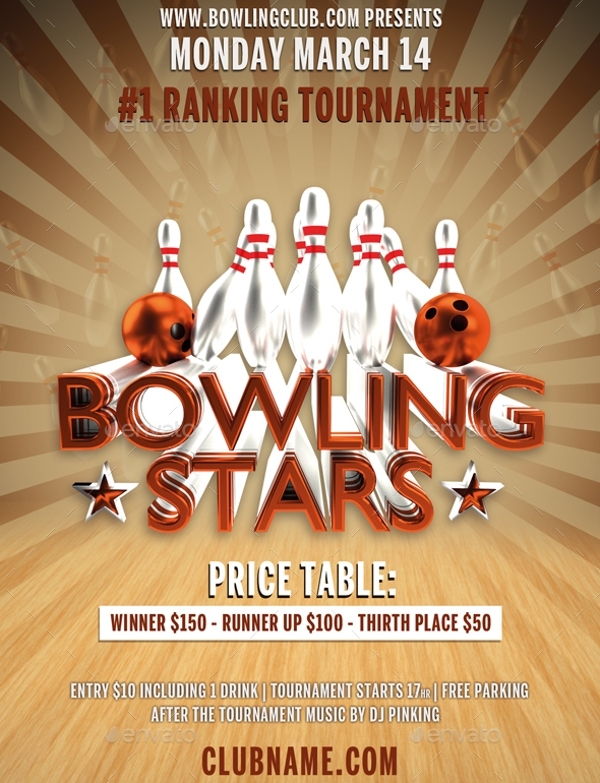 It is a fully editable flyer template suitable for the promotion of the bowling tournament. Click on the below link to download it in the print ready state. It consists of font’s link attached to it. 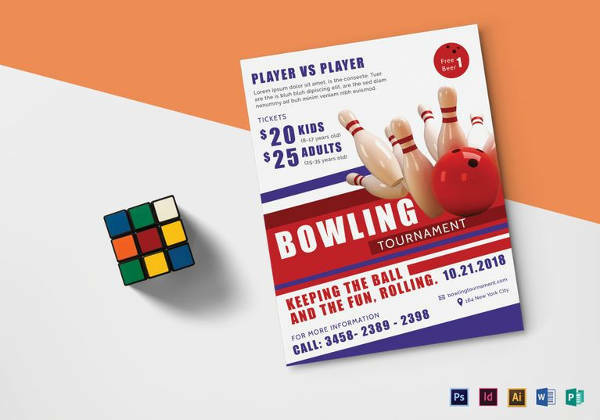 Here’s an editable bowling flyer that can also be used as the poster for promotional purpose of the bowling event or tournaments. 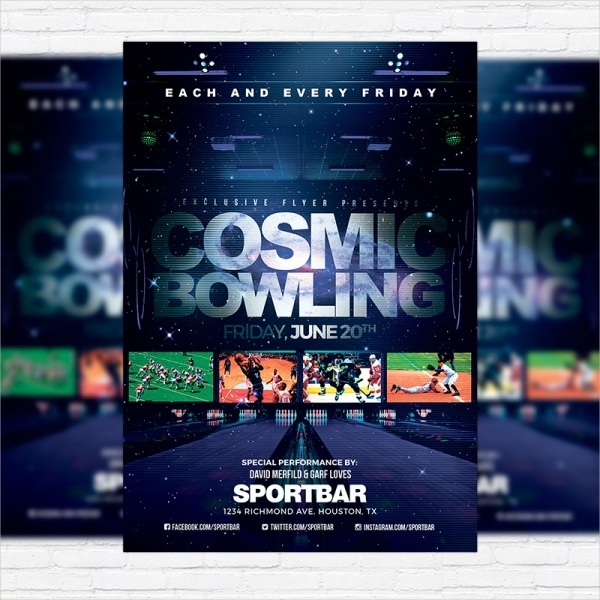 This professionally designed bowling flyer is available in high resolution. It features a black background with the structure of bowling pins and balls imprinted on it. 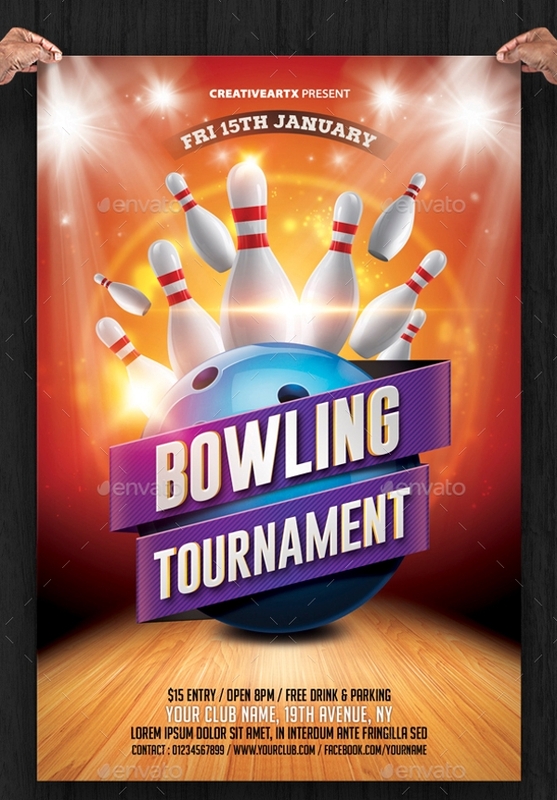 This is an eye-catchy flyer template specially designed for the advertisement of the bowling tournament. It contains the background of bowling floor, bowling ball, and a bowling pin. Plus, it has shiny and dazzling patterns in the background, which makes it ideal for designing attractive invitations for the game. 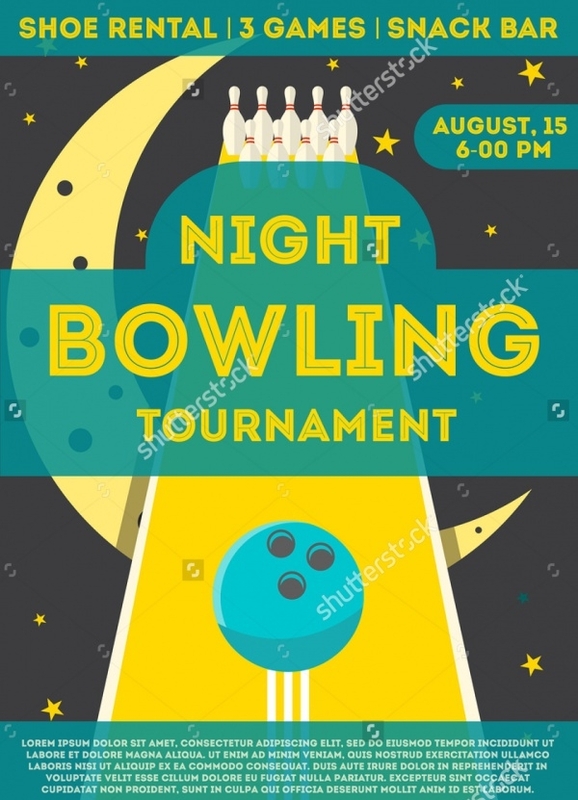 This is a wonderful bowling night club event flyer that has a retro effect to make the layout look more interesting to the audience. It features all the elements on the separate layers for easy edit and it has fully editable text. Click on the link displayed below to instantly download this exceptional bowling flyer. 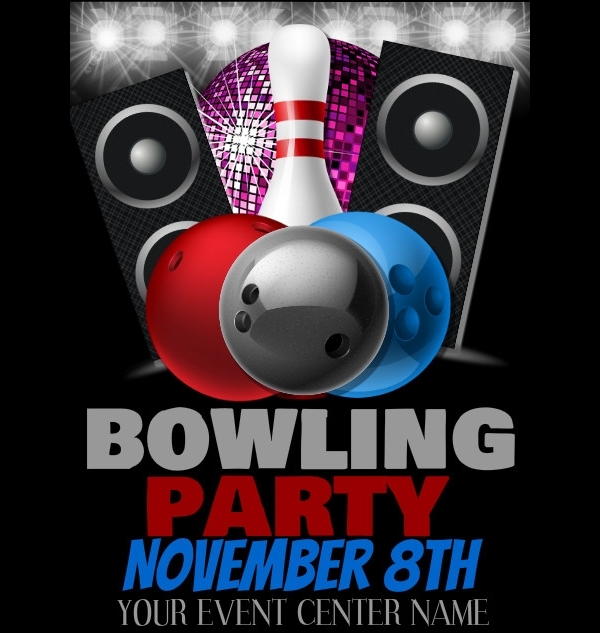 This is a bright and colorful bowling party flyer that will give your evening game party a perfect advertisement. It has a background of yellow and blue color, making it easy to catch the attention of the audience. It is suitable for multiple uses such as promotion, ads, posters, etc. Download it in A4 size just by clicking on the link mentioned below! 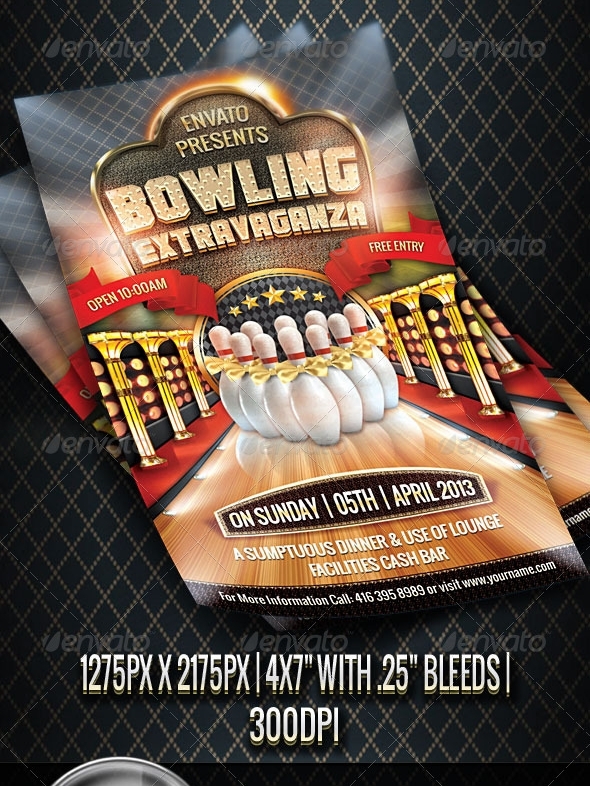 Here’s a creatively designed premium bowling flyer design, which is available in PSD format. It is a well-organized flyer with proper layers and fully editable texts. It uses a free font, whose details are attached for the reference of the users. 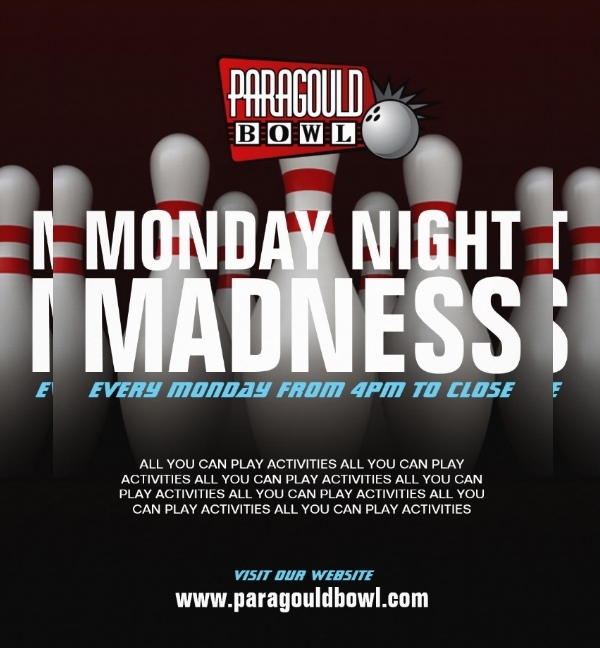 This amazing flyer can attract more audience towards your bowling club or party with its charm. 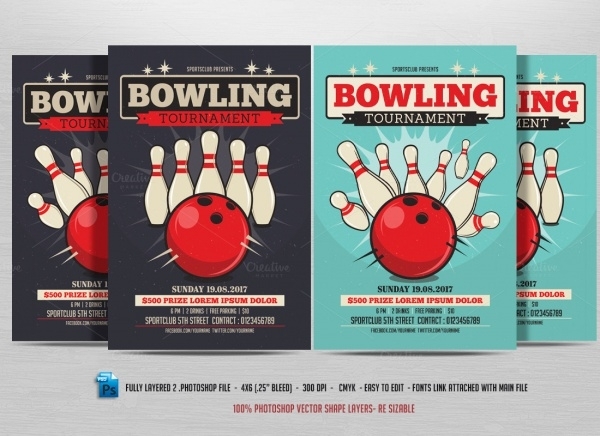 Well, there are plenty of flyers available in these collection that you can use as the invitation for the bowling game or your club is organizing. 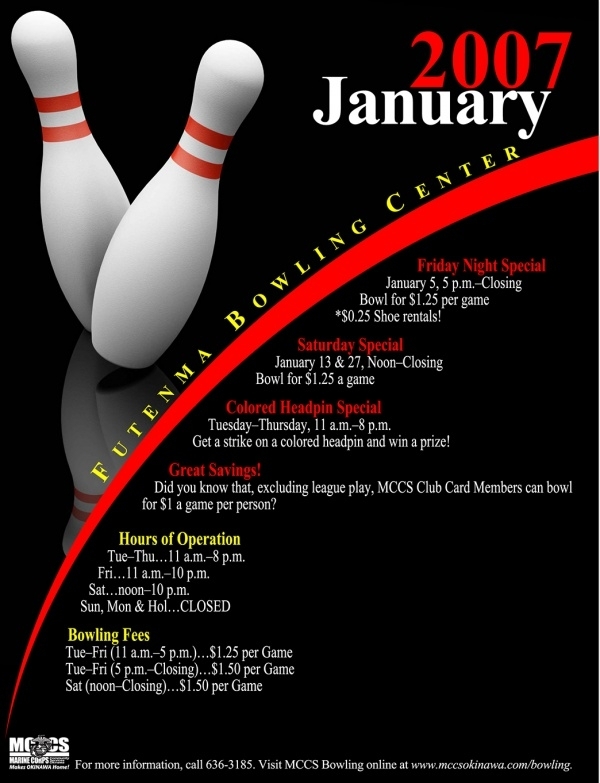 In fact, it opens new options for you, so you can use a new flyer template for new bowling event. If you are in constant need of these bowling flyers then download them and add them to your graphic library at this very instant!